This post is sponsored by Book Creator. All opinions are my own. 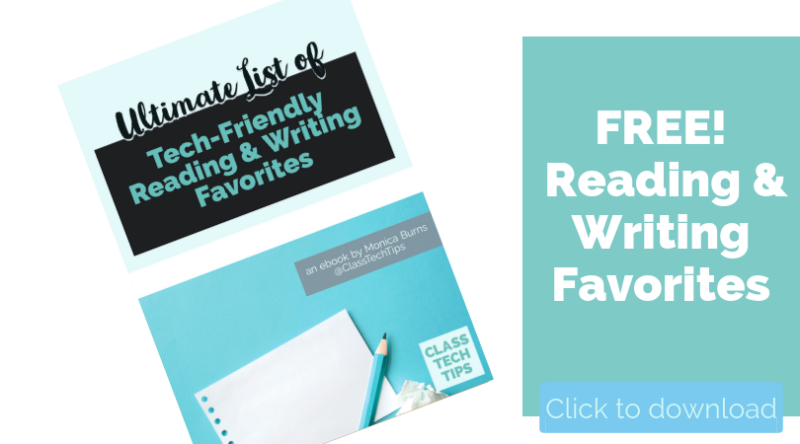 Are you looking to energize and elevate reading responses in your classroom? 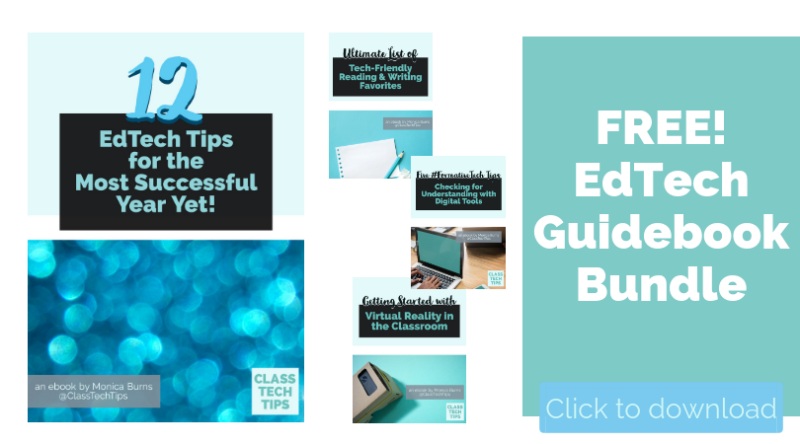 Well, I am so happy to have partnered with my friends at Book Creator to make a special ebook just for you! 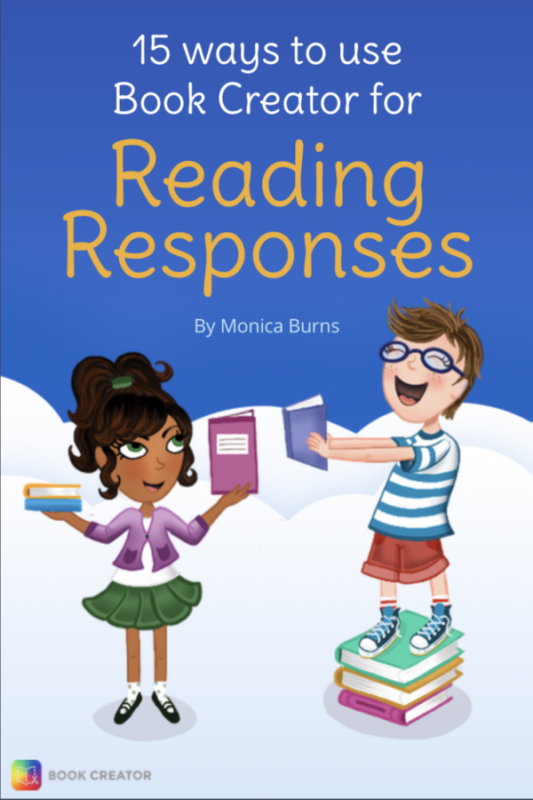 This free ebook is full of ways to use Book Creator for Reading Responses. 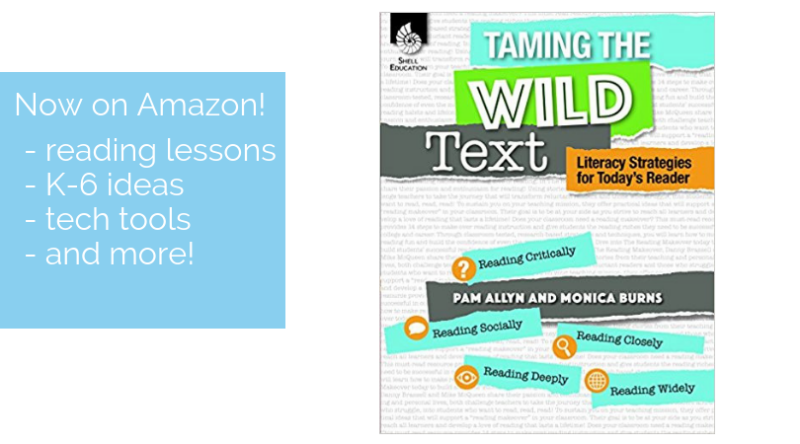 I know you’ll find ideas for how to use this dynamic, open-ended creation tool in your reading classroom. 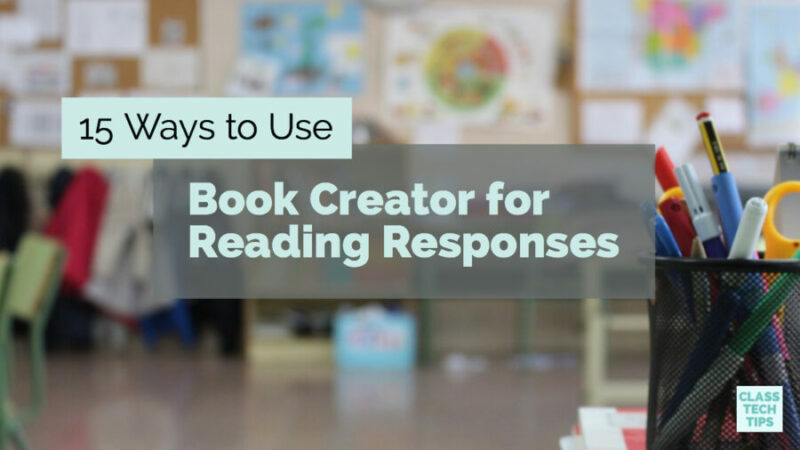 15 Ways to Use Book Creator for Reading Responses is a free ebook I created for K-12 educators. 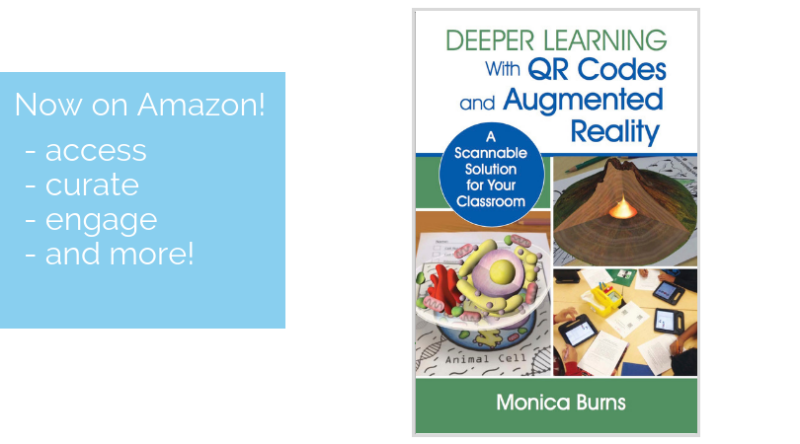 It provides ideas for how to use Book Creator for reading responses in your classroom. 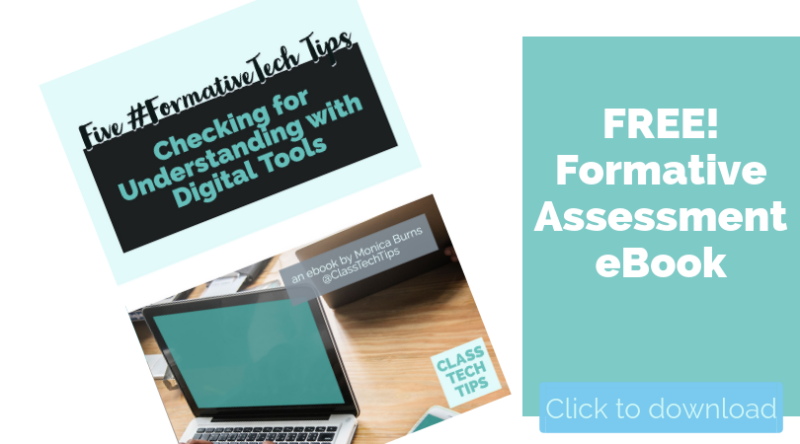 You can tailor the ideas to different text types and grade levels, so they are friendly for a wide range of classrooms. I made this ebook using Book Creator, an ebook creation tool for schools available on Chrome and iOS (iPad app). 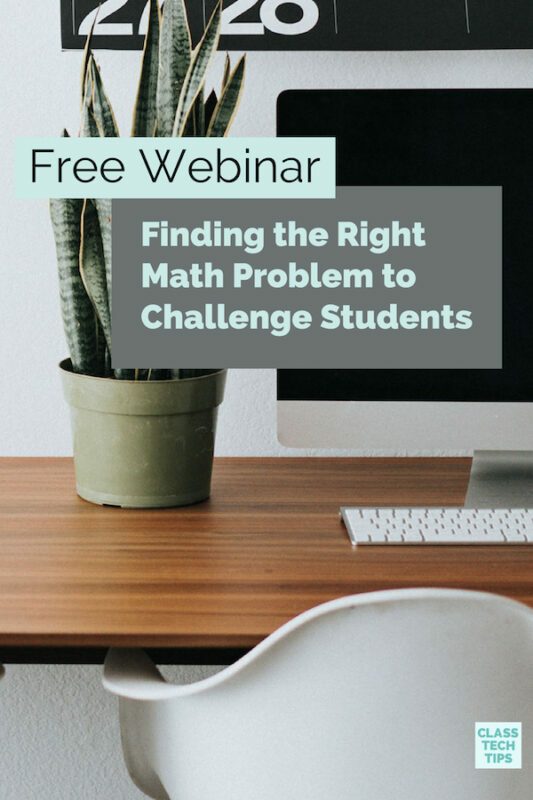 Inside this new ebook, you’ll find lesson ideas, student work exemplars, and real classroom stories. It includes links to extra resources and even a welcome message sharing some of the reasons I love Book Creator. 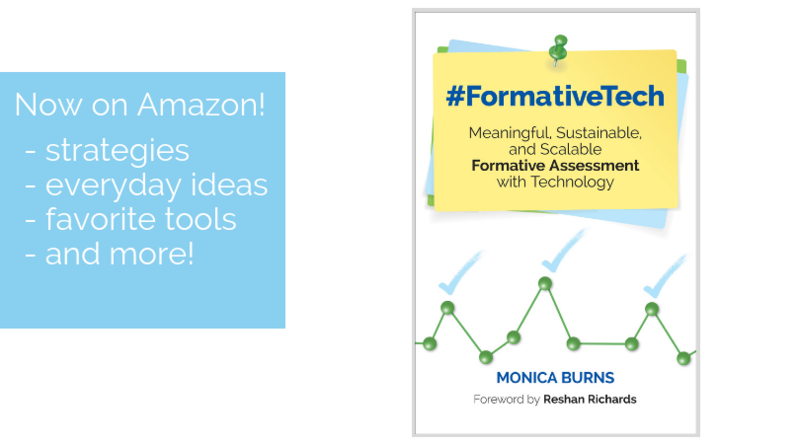 Each of the fifteen ideas I feature in the book contain examples, and ways to make it the activity come to life in your classroom. Below you’ll find a preview of some of the ways you can use Book Creator in the reading classroom. To access the book online, click here to open it in a web browser. Retelling a story is an important skill. 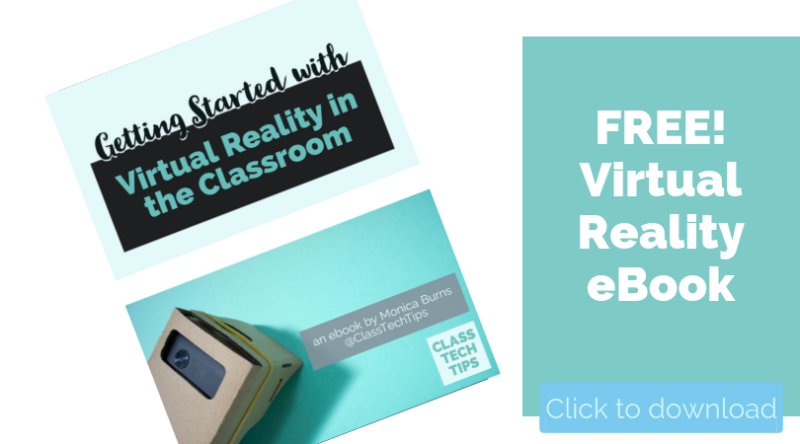 It gives students a way to share what they have read while processing the events of a story. A retell using comic book features helps students focus on sequence, setting, characters, and dialogue. 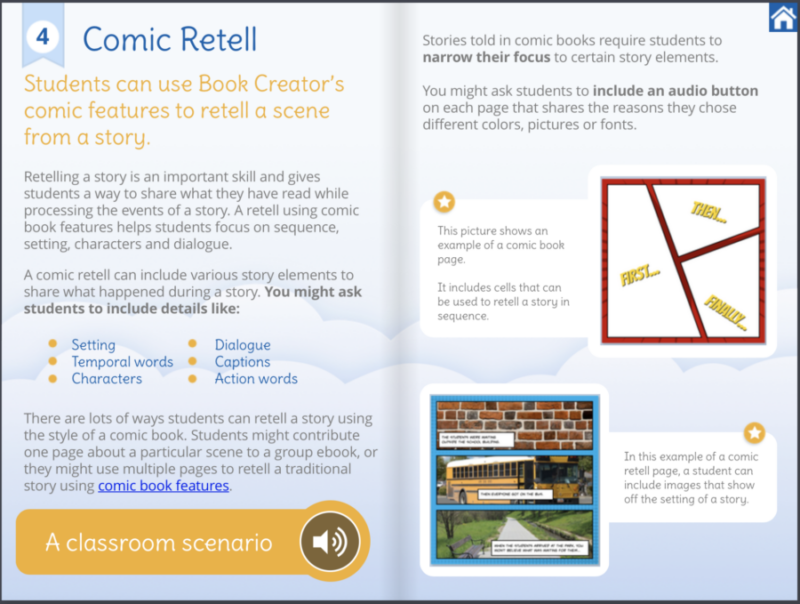 There are lots of ways students can retell a story using the style of a comic book. As students read each day, they can use Book Creator to capture their thoughts, ideas, and inspirations. A daily reading journal gives students a space to respond to reading using teacher prompts or free writing. 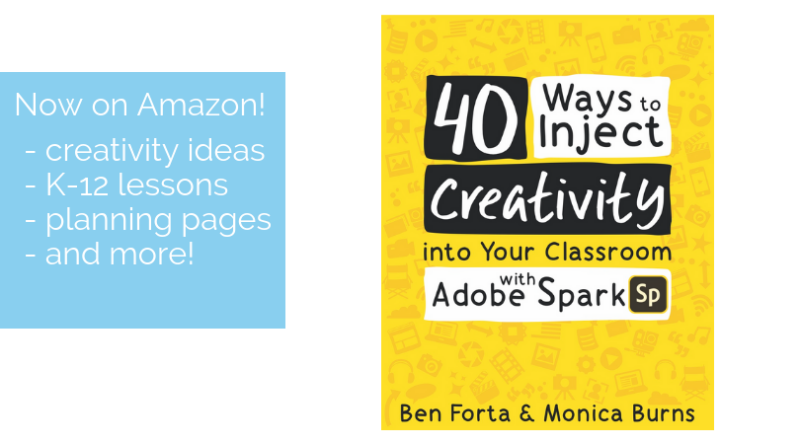 Each day students can add a new page to their ebook. 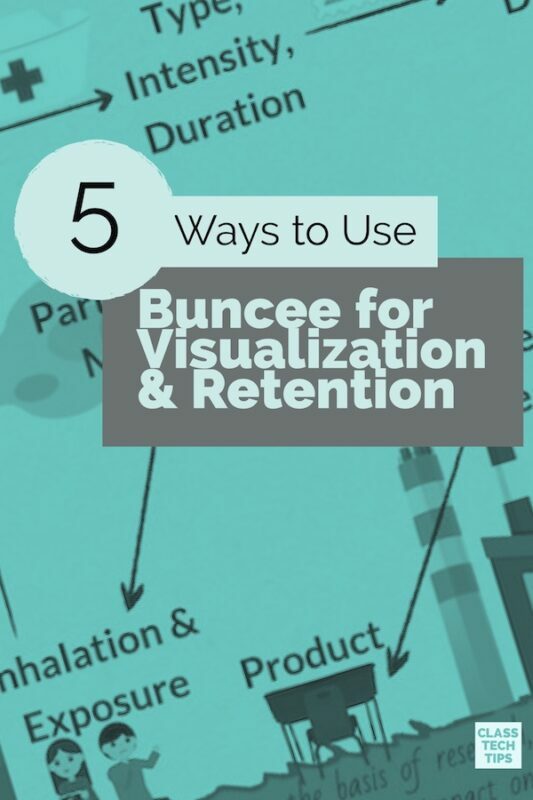 This can help them chronicle their reading over the course of the school year. As students read informational text, there are lots of ways for them to capture their thinking and show what they have learned. Students can create a collage using keywords from their reading as search terms for a picture collage. 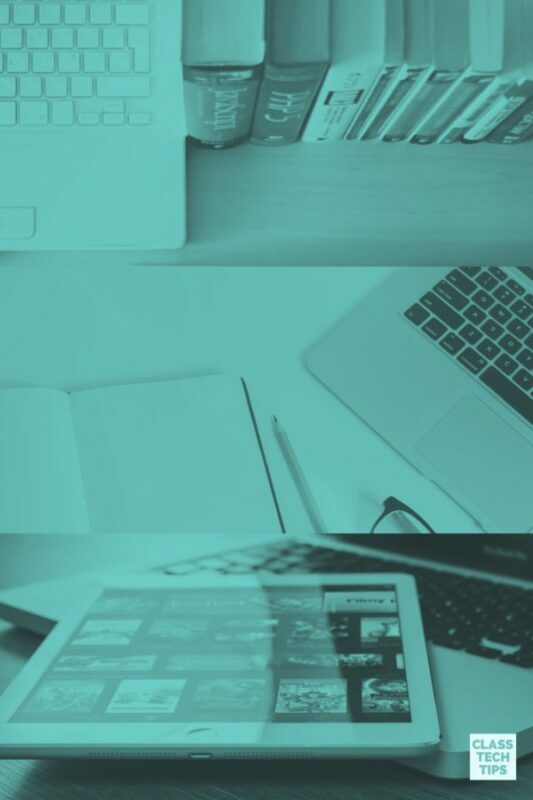 Students can create a book with multiple pages that include images and captions related to a particular topic. To see all 15 ways to use Book Creator for reading responses, use this link to access the ebook on your device! 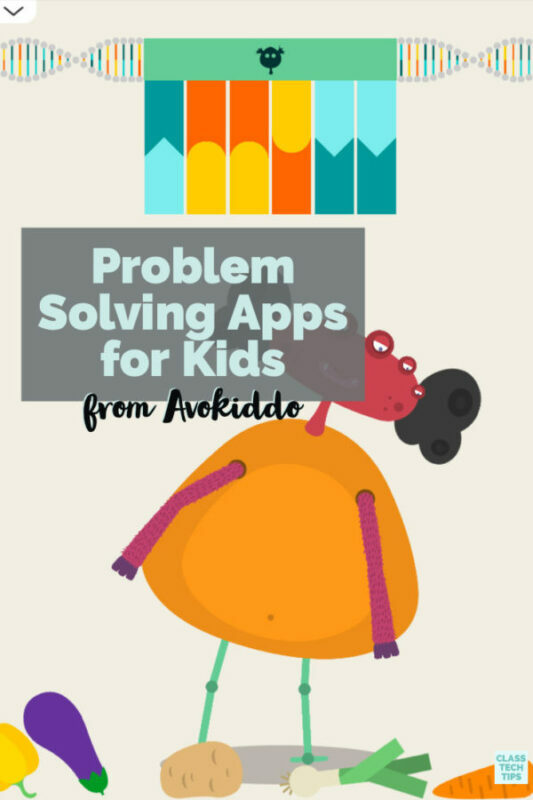 I’m super excited to contribute this ebook to the growing series of ebooks the team at Book Creator has made for teachers. 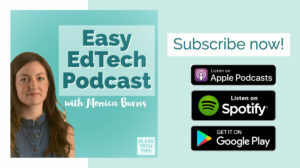 It all started with their super popular 50 Ways to Use Book Creator in the Classroom, and they have more books on the way. 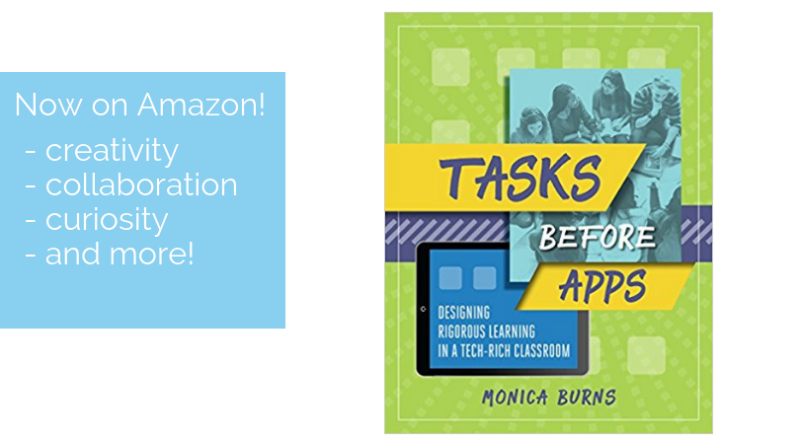 These new books will include topics like: Using Book Creator in High School, Using Book Creator in the Elementary Classroom, and Book Creator and Thinking Routines.